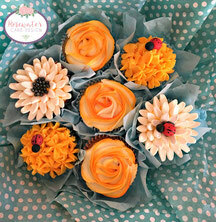 These products have been designed to have a specific seasonal event or occasion in mind. 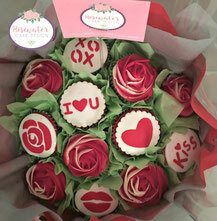 Pick something unique for Valentines day, Mothers day, Easter or Christmas to name a few. 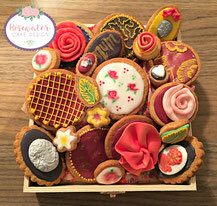 Selection of biscuits decorated with royal icing and fondant presented in a gift box (gift box might vary from the picture). Each box will contain 10 mini, 5 medium and 5 large biscuits. Please note each box will be based on the picture but might not be exactly like the picture as each biscuit is hand decorated. 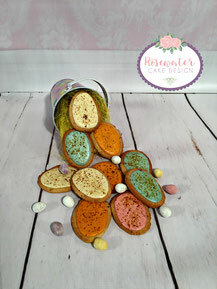 Selection of speckled egg biscuits in a Easter themed basket. Each basket contains 10 Speckled egg biscuits. Covered with cellophane and tied with Easter themed ribbon.